Lecanto Florida is located between Crystal River and Inverness in Citrus County and has a history of agricultural use. After the creation of Citrus County in 1887, Lecanto found itself in the center of the new county. In 1891, it almost became the permanent county seat, but lost to the new town of Inverness by only nine votes. The election was closely contested. Lecanto continued to be just an agricultural-based community, but would be caught up in the Florida land boom of the 1920s. A Chamber of Commerce was formed with a slogan “Where Farmers Live At Home” and a metal sign for car fronts was produced which said “Lecanto – The Hub of Citrus County”. Today, Lecanto still has many cow pastures, but offers much more including fine residential and retirement communities as well as excellent schools like Pope John Paul II Catholic School and Lecanto High School. Lecanto High School is a public secondary school in the Citrus County School District. The school covers grades 9-12, with approximately 1740 students and 103 faculty. Lecanto High School also offers extensive advanced placement courses and dual-enrollment courses in conjunction with Central Florida Community College. The school was opened in 1984, and the first graduating class was in 1985. The school is built on a 160 acres property known as the Lecanto Educational Complex. The property is also home to CREST School, Renaissance Center, Citrus County Instructional Resource Center, Citrus County Schools Student Services offices, Lecanto Primary School, Lecanto Middle School, and Lecanto School of Art. Central Florida Community College was also located on the site from 1984 to 1996, when they moved onto their own campus. 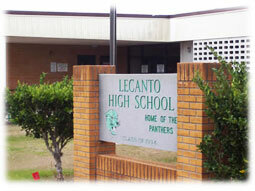 As of 2009, Lecanto High School is part of the International Baccalaureate program. Residential communities in Lecanto include; Black Diamond, Oak Hill Estates, Timberlane, Crystal Hill, Leisure Acres, New Mayfield, Kensington Estates, Rovan Farms, Crystal Oaks, Brentwood, Lecanto Acres, Crystal Glen, Flying Dutchman Estates, and Forest Hills. 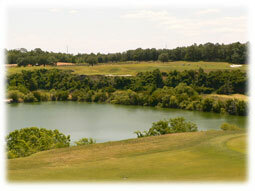 Black Diamond is an exclusive, gated community built around the Black Diamond Ranch Golf Course and Quarry Golf Course who’s centerpiece is an abandoned quarry with hundred foot elevation changes and a green right down in the quarry. The community of Black Diamond offers pristine landscaping, elegant estate homes, ponds, lush vegetation, and unforgettable golf, just feet away. 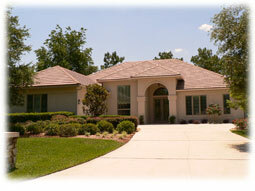 Homes on the Black Diamond golf course are very desirable. 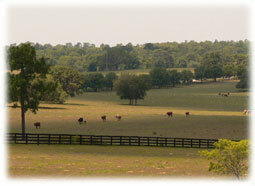 The entire community consists of only a few hundred homes with some lots still available for sale.